As a Certified Geriatric Care Manager, Crystal has spent her career in service to seniors. She holds an undergraduate degree in Psychology from Plymouth State University, as well as a master’s degree in Health Services Administration from Strayer University. During a health care career spanning almost 25 years, Crystal has obtained quality experience in the assisted living, skilled nursing, assisted living memory care, hospice and geriatric care management arenas. 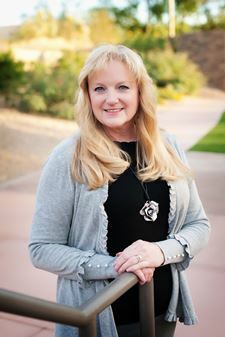 In addition to her Care Manager Certified (CMC) credential from the National Academy of Certified Care Managers, she holds a Certified Assisted Living Facility Manager Certification (CALFM) through the Arizona Board of Examiners of Nursing Care Institution Administrators and Assisted Living Facility Managers. Additionally, Ms. Littlejohn obtained a Certified Senior Advisor designation (CSA) and is an active member of the Society of Certified Senior Advisors. In 2012, Crystal achieved certification as a Professional Patient Advocate from the Professional Patient Advocate Institute. 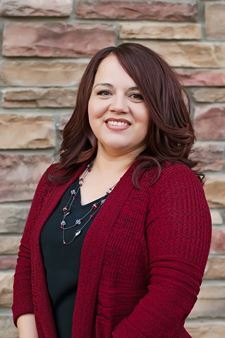 Crystal has been an active member of the Phoenix Metropolitan area health care network since her move to Arizona in 1994 from her home state of New Hampshire. Her education, experience and compassion for seniors make her an ideal advocate for this very special population. As founder and Certified Geriatric Care Manager for Geriatric Resources, LLC, Crystal assists seniors and their families to identify needs, locate appropriate resources, and hire and monitor necessary services to keep them living safely in their preferred environment. An Arizona native, Petra plays a vitally important role as the Office Manager/Assistant Care Manager with Geriatric Resources, LLC. Prior to working with Geriatric Resources, Petra worked as a Lead Certified Pharmacy Technician (CPhT) at CVS pharmacy in the heart of Sun City West, Arizona for approximately 15 years. 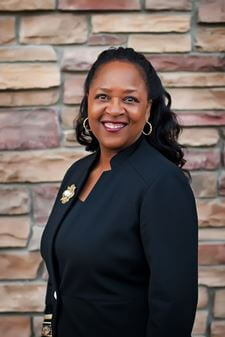 Petra began her pharmacy career with CVS in 1996, training as a pharmacy technician. Over the next few years she became nationally board certified as a CPhT and ultimately worked her way up to becoming lead pharmacy technician in 2001. She was very dedicated to her work and especially drawn to her senior clientele. As she built relationships with her loyal customers over the years, she recognized that many of them did not have any local support or advocacy during their more difficult times. She so often felt bound to one side of the counter and powerless to help them. In March 2011, Petra joined the Geriatric Resources team as the Office Manager/Assistant Care Manager. Since joining the team, Petra has been steadfastly dedicated to supporting and assisting Geriatric Resources’ clients, their families and the team. Life has imitated art in Petra’s personal life as she had cared for both her grandparents, both of whom had played major roles in her life as her “parents”. Petra has always had a passion for serving the senior community as she always wanted to give back for all her grandparents had done for her. Through years of compassionate customer service and dedicated work ethic, Petra enjoys fulfilling her calling to serve seniors and give back every day through the important advocacy roles that Geriatric Resources’ plays in clients’ lives. Luann’s professional career spans more than 29 years working in the senior care continuum, and she earned her certification through the rigorous protocol of the National Academy of Certified Care Managers. A native of New Jersey, Luann earned a Bachelor of Science degree in recreation therapy from Arizona State University in Tempe, Arizona. She began her career in healthcare with 10 years’ experience working with seniors in the skilled nursing facility setting. Following that, she held professional positions in memory care, assisted living, independent retirement living, and hospice care environments, helping older adults and their families adjust to the changes and challenges unique to each setting. Luann’s skill in assisting older adults as they navigate complex medical, living and social challenges has been invaluable to countless families over the years. Over the course of her professional career, Luann has been working and living her passion – care and advocacy for seniors. Her philosophy is based on providing the same level of care and advocacy for the client that she would (and did!) provide to her own parents. All are to be treated with the utmost respect and dignity, in order to allow as much autonomy and independence as possible. Through the years, she has been involved with many service organizations and has held positions on a number of boards, all devoted to enhancing the lives of older adults. 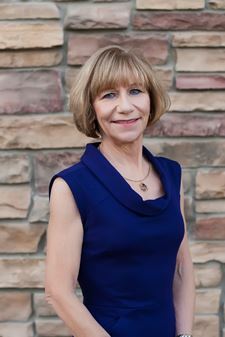 Luann’s strong observational skills and natural curiosity combined with her expertise ensure that all of her clients and family members are well-informed. She works to bring all available options to clients and families, giving them the information they need to make the best decision for optimum quality of life. Val Litchy began her career in services to older adults in 1988, following completion of an undergraduate degree from Bates College in Lewiston, Maine and a master’s degree from the University of Wisconsin-Madison. Working for a hospital-affiliated continuing care retirement community in Madison, Val served on the President’s Cabinet. During her eleven-year tenure there, she assisted in the operation and development of a senior living spectrum of housing and services where older adults could be part of the overall community in a dynamic downtown urban environment. 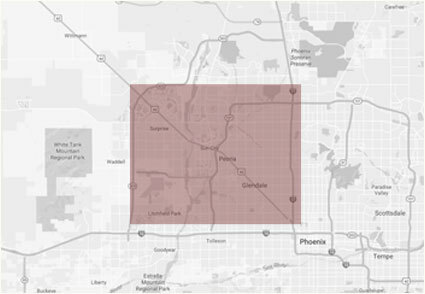 After relocating to Phoenix in 2002, Val continued to work to improve quality of life for seniors. As Community Relations Coordinator and Executive Director at a memory care facility, Val assisted seniors with Alzheimer’s disease and other dementias transition to and live in a supportive environment designed for their needs, and worked to support their families throughout the process. During her time with a home care services company, Val built an understanding of the support available from services delivered in a senior’s existing living environment, and coordinated provision of services there. As a Geriatric Care Manager, Val brings a thorough understanding of the spectrum of services available to seniors wherever they choose to live, and experience in addressing and adjusting to their changing needs and condition. As part of her passion for service to seniors, Val has served on community boards, advisory committees and in charity event planning. Throughout her career, Val’s overriding goal has been finding the ideal living environment and service combination for individuals at each moment in their lives. In her work with seniors and families, Val draws on her experiences, both professionally and personally, to identify, address and communicate those changing needs, and to help seniors and their families understand and find joy within each season of their lives. Chelsea is pursuing a life-long dream of becoming a geriatric social worker. 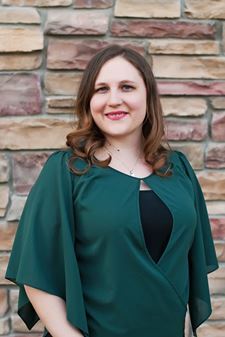 As an essential member of the Geriatric Resources team, Chelsea is already improving the lives of senior adults by providing administrative support to our clients, families and staff! Chelsea’s passion for senior care is founded on her relationship with her grandmother, who was an invaluable part of her childhood. As her grandmother grew older, and Chelsea was part of her care, Chelsea realized the value of service to seniors and the difference it makes for all generations. After graduating from high school, Chelsea worked as a restaurant manager and gained an understanding and passion for customer service. At the same time, her college studies led her to an internship with Geriatric Resources. Chelsea’s passion, skills, empathy and eagerness to help our clients and families shone through during her internship, and Geriatric Resources was pleased to offer her a permanent position on the team.